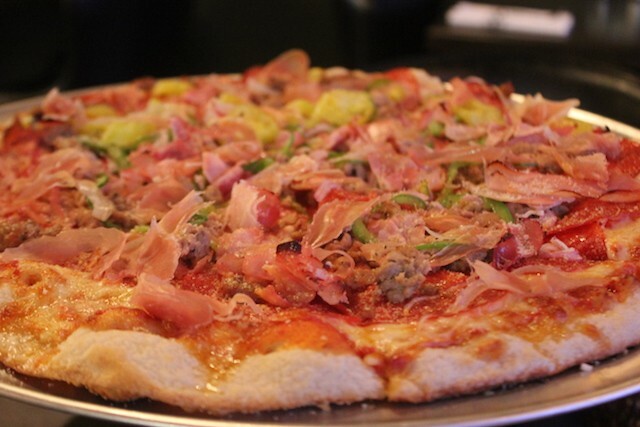 "El Padrino" is chock-full of ham, salsiccia, prosciutto, peppers, red onion and roasted garlic. 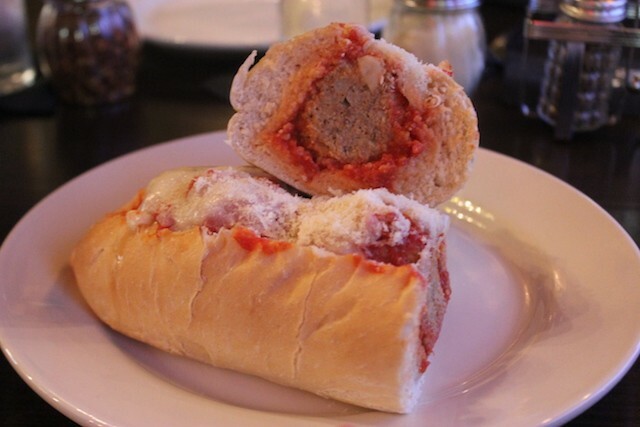 The first thing you'll likely notice about Anthony's Italian Eats (7641 Wydown Boulevard, Clayton; 314-721-3233) is just how small it is. On first glance, the former home of Manhattan Express looks every inch the counter-service deli it used to be, complete with a glass case of meats at the front. But once your eyes adjust to the size of the room, you may notice other things: the comfortable high-backed black leather chairs that sit behind each table. The gorgeous chandelier providing a soft glow. 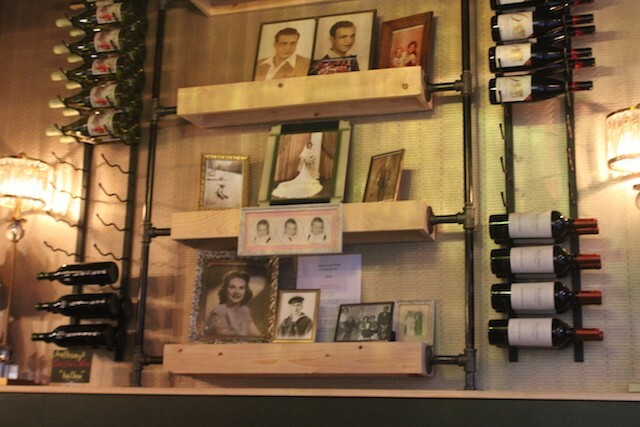 The framed family portraits sitting on a shelf between two small racks of wine. 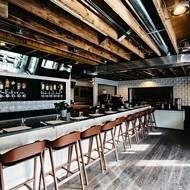 The space may be tiny, but every inch has been given over to a warm ambiance. Framed family portraits and soft lighting set an evening mood. And indeed, just like the hole-in-the-wall Italian spots in more crowded cities, Anthony's offers a low-key elegance. While you can get chips and a meatball sandwich here, should you desire, your waitress will take your order and happily pour you a glass of wine to go with them. 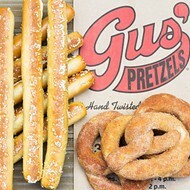 It's a far cry from a no-frills deli. The restaurant is the work of the family behind Joey B's, and their knack for hospitality and St. Louis-size portions is on display even in these cramped quarters. Take that meatball sandwich — it's practically a footlong, and positively bursting with soft, flavorful meat. 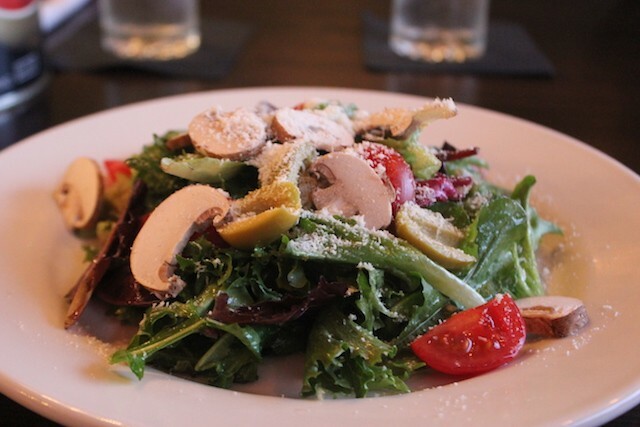 Anthony's is, for the most part, serving a refined version of St. Louis-style Italian. 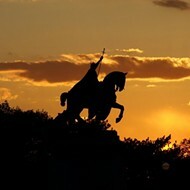 Your house salad will be sprinkled with Parmesan, with a sweet Italian-style vinaigrette; the dozen sandwiches on the menu include a muffuletta and a hot Italian beef. It's even bigger in person. For pizza, you can do it "Grandma's style" (with mozzarella) or "St. Louis style," with Provel. And rest assured, when your server asks if you want thin crust or thick crust, "thick" is not thick in any sense of the word other than the contrary-to-St.Louis-style one. "Thick" means a traditional Neapolitan-influenced pizza — "thin" crust will get you a cracker-style wafer. If for some bizarre reason you have room for dessert after one of these laden pizzas, they pipe the cannolis in house and also offer Serendipity cones from a small freezer behind the counter. And while you're at it, why not get something to go? The wall alongside the deli case offers a full array of imports from Italy, from olive oils to canned fish. It's a charming addition to a spot that, while small, uses every last inch. 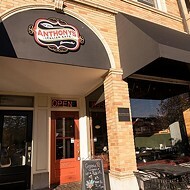 Anthony's Italian Eats is open seven days a week from 11 a.m. to 9 p.m. Scroll down for more photos. 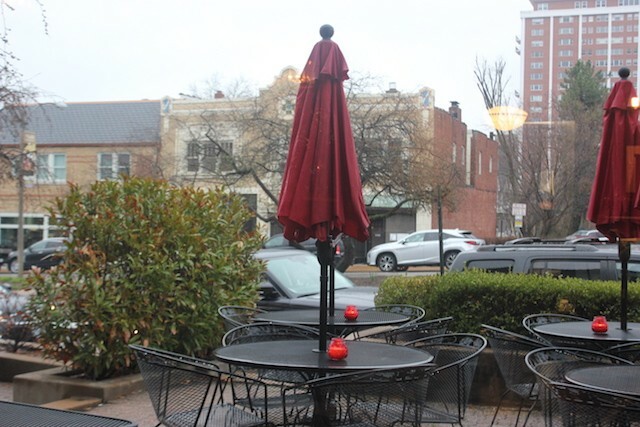 In nicer weather, the patio on Wydown will be one of the nicest spots in the city.